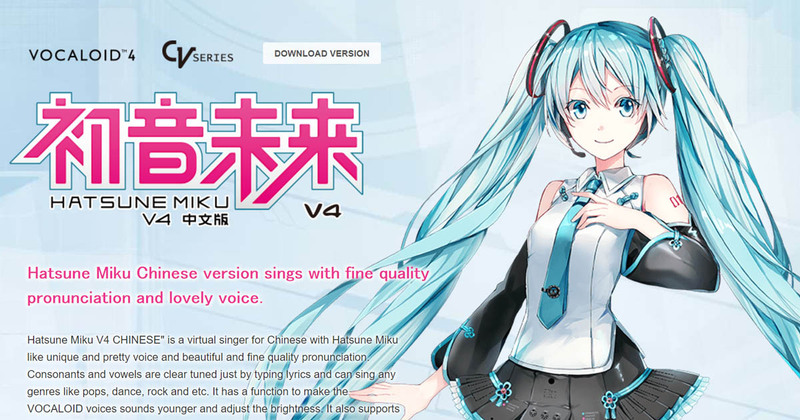 Following the first demo released on her 10th birthday, Hatsune Miku V4 Chinese gets four new demo songs released today along with the product page reveal! Digital download sales also begin starting now! Hatsune Miku Chinese version sings with fine quality pronunciation and lovely voice. Hatsune Miku V4 CHINESE” is a virtual singer for Chinese with Hatsune Miku like unique and pretty voice and beautiful and fine quality pronunciation. Consonants and vowels are clear tuned just by typing lyrics and can sing any genres like pops, dance, rock and etc. 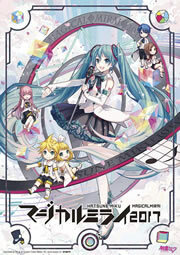 It has a function to make the VOCALOID voices sounds younger and adjust the brightness. It also supports the glow function, pitch snap function and pitch rendering function. Also, it comes with a standalone application of the vocal editor “Piapro Studio” which has been developed for this product. So you can make it sing a song without going through other music software. The four new demo songs come from Kairiki bear, Mikai Music, 小旭PRO-乌龟SUI, and PIPPO, with all four being original songs with the exception of “Shippaisaku Shoujo” by Kairiki bear (cover). Hatsune Miku V4 Chinese is priced at 10,800 yen (~99 USD) and 11,880 yen (~108 USD) for the digital download and limited package versions, respectively. Shipping for the limited package version will begin in mid September 2017. Check out the demo songs below!